Our highest calling is using our expertise and craftsmanship to support your mission. Utilizing a self-cooling, bag-in-tank system, beer goes directly into the taproom. 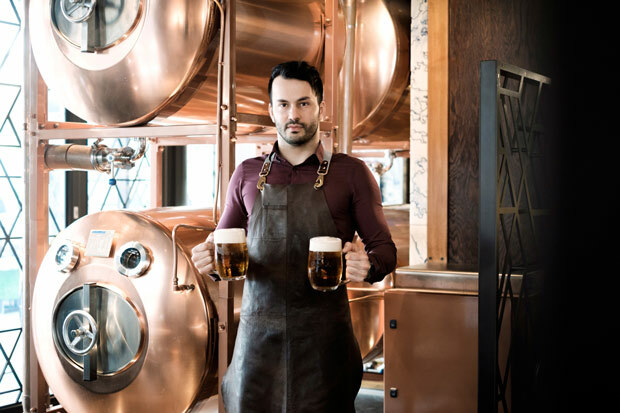 "As we operate extensively throughout Europe, it is important that the equipment systems we provide have the same high standards as the service Tankbeer® provides to all its’ clients. Mueller equipment is without question, our only choice. Tankbeer® exclusively uses Mueller serving tanks, providing us with the highest quality stainless equipment which in turn ensures the liquid integrity, freshness and temperature control required for our operation"
"The Mueller team worked the whole process backwards and took the mystery out of the problem"
"In the long run I save money because of Mueller’s expertise on all parts of the solution"